Plunge 16 asparagus tips into a pan of well salted boiling water (adapt the number of asparaguses according to the size of your inox circles). After two minutes, release them and plunge them immediately into cold water and ice cubes to stop the heat (cooking) and to to keep their beautiful green colour. Drain them and reserve them. Work the soft white cheese with a tablespoon of whipping cream to smooth and aerate it. Slice thinly the chive, chisel herbs. Add to the soft white cheese with salt and pepper, olive oil and mix. Cut asparagus tips so that they have the height of the used circles + 1cm. Dice the remaining asparagus and add them to the soft white cheese. 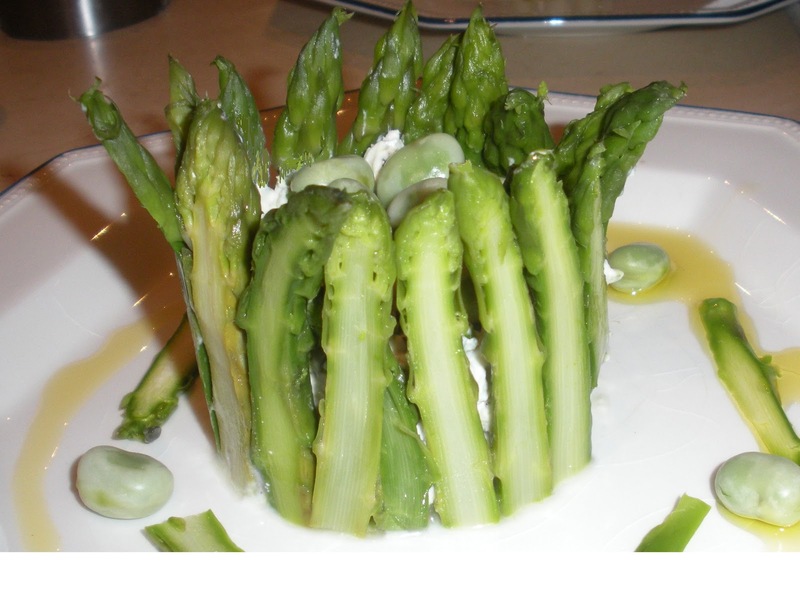 Cut asparagus tips lengthwise, and arrange them all around the inside of the circle, left cut against the circle. Drizzle some olive oil around and decorate the plate with 2 remaing raw asparagus (cut with mandoline) and some charms . Juicy green.... yes this is exactly the colour of spring here. In Jardin de Bacchus, my bed and breakfast in Tavel, village of the first rosé wine in France, the wines start to have their green "dress". They wrap around nicely my wooden deck, and I just love it. To stay with the same colour scheme, do not miss my next post with a juicy green recipe based on Asparagus﻿..
"The way to the heart is through the belly." The aim of this blog is to give a quick look at what makes Provence so special, from our way of life to my favourite recipes. Prior to be an expatriate I did not realize how fortunate I have been growing up in this part of France. Moving back to Europ I would never have another idea than coming back "home", and for me, home is Provence. Provence is like this blog would like to be, an addiction to Easy, Tasty and ...Frenchy ! 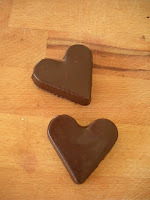 ﻿﻿ ﻿﻿I wish you some sweet moments, but spicy enought, to make them special while reading this blog. Thanks a lot for sharing my passion of my easy-going but nevertheless tasty Provencal French life. I apologize for using the language of Shakespeare my way... with my Frrrrench accent and other "interesting" twists, that you are already starting to discover. I whish to give you an inside view of how the French relate to one another in all areas, and demystify the French paradoxe.